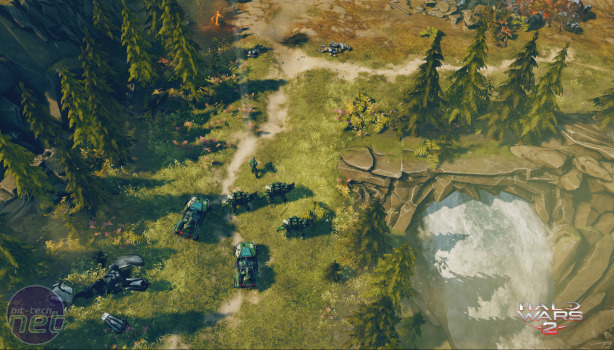 Disclaimer: Halo Wars 2 won't let you take screenshots in its PC edition, because it's running via the Windows 10 store. I hit the record/screenshot shortcuts repeatedly and then tried a manner of different options, but the Windows 10 store is just the worst. Sorry for the promo shots. 'War,' said Edwin Starr in 1970 Motown single War. 'Good god, now, what is it good for?' 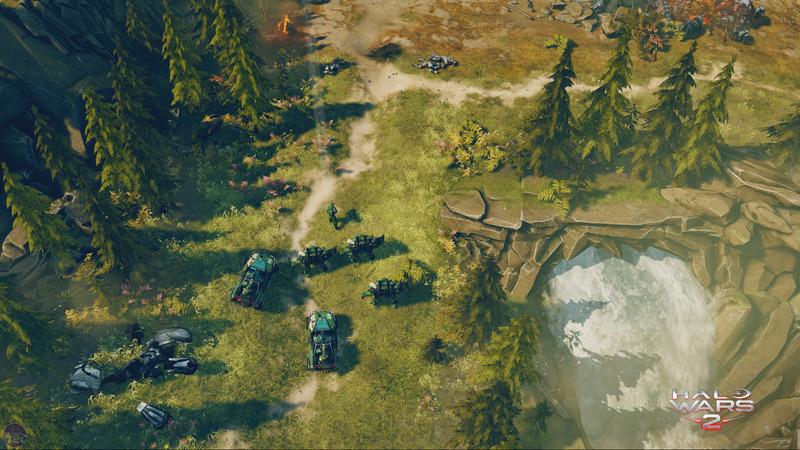 Starr wasn't talking about Halo Wars 2, Microsoft's latest game set in the Halo universe, but he could have been, because after 30 hours with Halo Wars 2, I don't really understand what it's good for either. I'm being uncharitable for the sake of humour. Halo Wars 2 isn't a bad game, merely intensely mediocre, a surprisingly bland effort from Creative Assembly, a studio best known for its strategy prowess. While Creative Assembly certainly has sprinkled a little of its magic over it, it's just that Halo Wars 2 feels like a victim of its own expectations - gifted an audience by its involvement with the Halo franchise but doomed to shallowness by trying to remain accessible to that same audience. Accessibility isn't bad at all, but in this case trying to ensure that everything remains manageable seems to have had a broad impact on the game: The population cap is low, and the camera is just a few metres off of the ground. As a result, the game becomes a series of smaller skirmishes that shake the screen, making you feel like you're really part of what's happening. 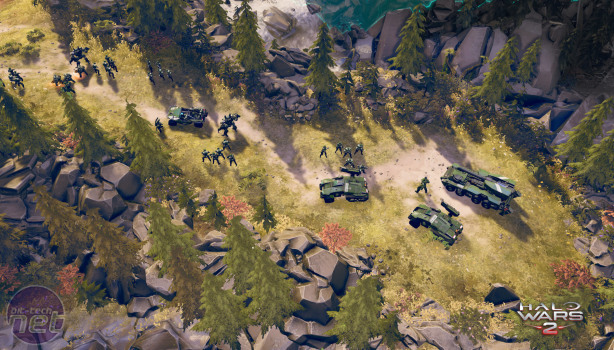 One thing Creative Assembly has managed to do effectively is recreate the Halo universe with all of its spectacle and then stuff it into an RTS. 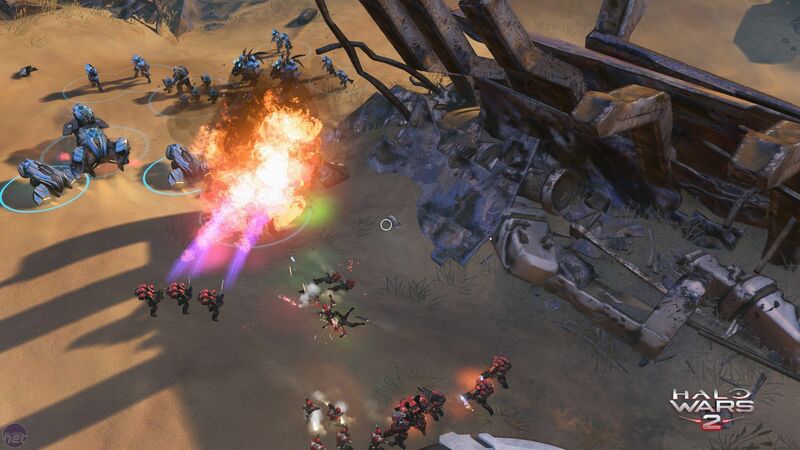 Watching one of your Spartans polishing off a hunter with a Spartan Laser at close range, or a squad of ODST marines emerging from drop pods, laser sights sweeping the landscape, and immediately joining the firefight is immediately reminiscent of Microsoft's golden FPS franchise. It's managed to distil the key part of that first-person shooter experience into a strategy game without losing any of the punch, which could be Creative Assembly's greatest trick yet. It's shown as a studio that it can not just handle licensed properties but bring them to life, and it's done it again here, propping up the campaign with a series of well produced cutscenes that push players from one mission to another. 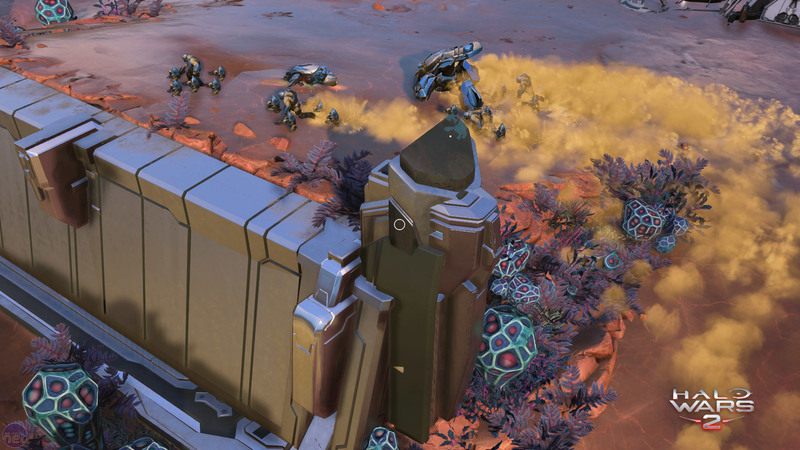 The storyline for the campaign is strong, and over the case of 12 missions there's a variety of set pieces. Many of these land: There are wave defences, covert operations, and even a final last stand which feels like it would definitely have worked better as the finale of a shooter than a strategy game. Many of the levels worked, but a few felt like advanced tutorials, more interested in teaching me how to use something I'd need in multiplayer than doing anything interesting. Generally, I thought the campaign was fine, although it was far too easy. Playing it with a keyboard and mouse, I found that being able to precisely order my units about meant that I could easily react to any threats that popped up, and the AI wasn't too interested in trying to out-think me anyway, instead relying on continuing attacks from a swarm of Grunts and Banshees which were easily countered with a token defence, giving me time to continue pushing forwards. The game contains various skulls that can be used to increase the difficulty, but the game felt so shallow in play that I didn't feel any big urge to retry any of the campaign missions. Ever wanted to be an emergency services dispatcher? Me neither, but it turns out it has its moments.